Researchers from the US National Science Foundation (NSF) want to use the DKIST solar telescope on the island of Maui (Hawaii) to examine the changes in the sun and its effects on Earth in the near future. 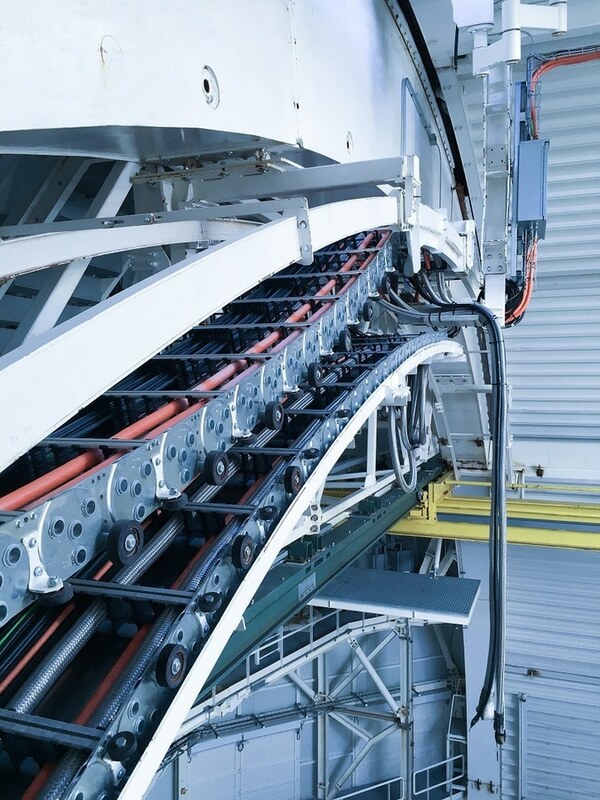 The Spanish company IDOM, which was in charge of building the moving dome structure of the telescope, decided to use cable carriers from Tsubaki Kabelschlepp. The remarkable features of this application are not only the dimensions and rotations which have to support the cable carriers. Due to the unusual location of the telescope on a volcano at an altitude of 3,000 meters, maximum operating reliability with minimum maintenance effort also had to be ensured. The task was to implement the entire project from the first design draft to final commissioning on site. Important requirements such as easy installation, suitable transport dimensions and easy-maintenance functions were already taken into account during the design of the individual components and assemblies. 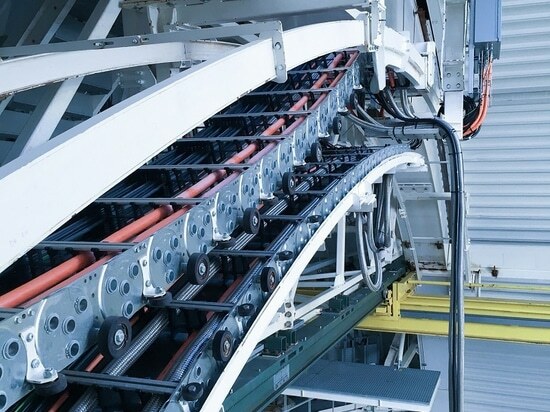 To ensure reliable energy supply to the numerous individual consuming units, two separate cable carrier systems are used in the gigantic telescope: Two steel cable carriers cover the vertical axis (azimuth) with a 420° angle of rotation. Another cable carrier system with several individual carriers supplies the revolving sun-blocking panels in the roof area along the horizontal axis (altitude) with energy, data and especially coolants; the angle of rotation here is approx. 105°. Steel carriers with individual aluminum stays ensure optimum guiding of the partially very heavy and large hoses and power cables. In addition, steel cable carriers are not affected by the strongly fluctuating temperatures in this environment, providing maximum service life and continuously reliable functioning. To ensure reliable functioning of the system on site, Tsubaki Kabelschlepp installed the entire azimuth system in Germany in advance and subjected it to comprehensive testing. The experts used targeted preassembly of the components and perfectly coordinated transport planning to make shipping to Hawaii and the subsequent installation process as efficient as possible. All cable carriers were installed on site by local specialist contractors under the supervision of Tsubaki Kabelschlepp. 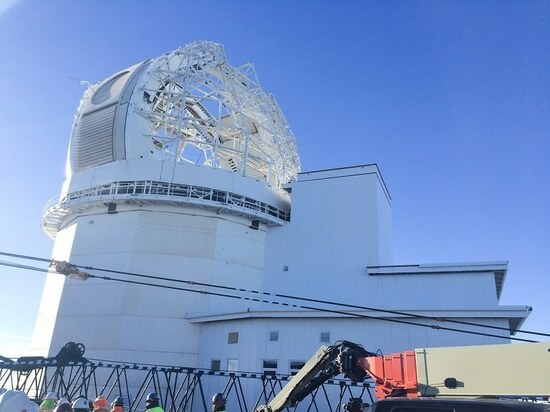 After joint acceptance by the project partners, the unusual solution from Tsubaki Kabelschlepp is now ready for operation – the solar telescope on Hawaii is scheduled to start operation in 2019.